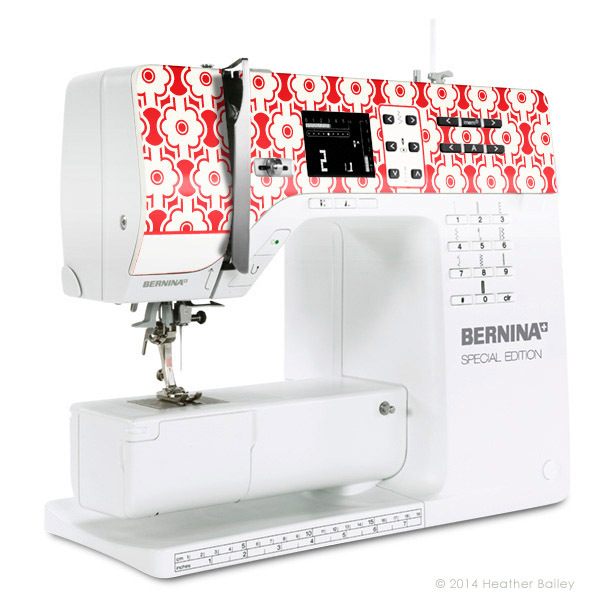 I had the privilege to design a sewing machine for Bernina's Faceplate Face-off, along with 9 other designers. From March 17th through April 14th, votes will be collected on Bernina's facebook page and the TWO machines with the most votes will be sent to production and available for purchase. One lucky voter will WIN a BERNINA SEWING MACHINE valued at $1899. Every time you vote, you are entered into the drawing again. So, set a reminder on your calendar to chime every day for the next few weeks. Considering the tragedy we are grappling with at this time, it is going to be a challenge for me to spread the word about this contest on my own. I ask you to please help me share this design. I will sort out another fabulous giveaway for the voters should my design win, so there's a double incentive, a shopping spree perhaps. I wanted to have this all worked out before the Face-Off went live, but here we are. If you have an idea for me, please share it. It is my understanding that you will want to access Bernina's facebook page from an actual computer, and not from a phone or ipad. To see the designs and vote, click the "Like" button the face-off page, then a "Click Here to Register" button will appear. Enter your info (so they can contact you if you win! ), then you will see the various designs. Please note that Bernina's mock-up of my design on their facebook isn't quite accurate yet. 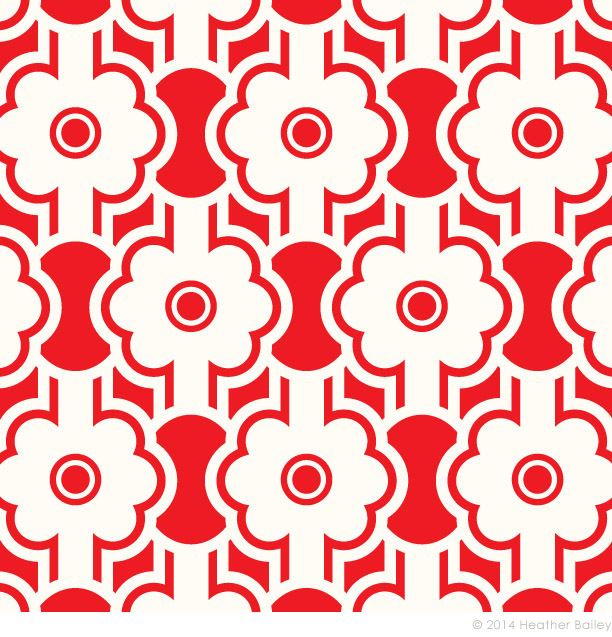 My design is red and white/cream, not red and silver. And I believe we would be indicating the model number "B350" with an emboss in the lower lefthand corner of the vertical plate, not with large black text across the artwork. My images here are closer to accurate. Feel free to post these images (links below) anywhere and everywhere, along with the contest info. I would sure appreciate it. And hopefully your sewing room will appreciate it too—when you WIN! Remember to set your daily calendar reminders through 4-14-14. PS: I think this contest is open to U.S. residents only, but I don't think that prohibits non-US residents from voting. I will ask. And I'll put together a giveaway that includes everyone—from everywhere—should my design win.